Great for anyone that rarely or never exfoliates and/or if your skin feels a little bumpy but isn’t acne. 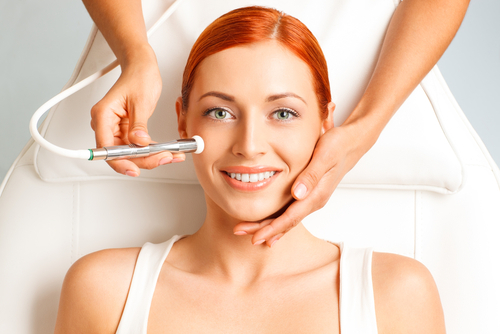 Microdermabrasion polishes the top layer of the skin. Not suitable for active rosacea, active or cystic acne. Safe for expecting and breast feeding mothers. No waxing or retinol in the last 5 days.